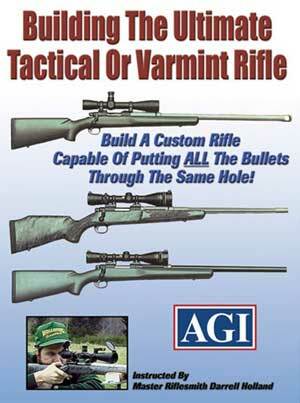 Sat through a second video today, this time it was “AGI BUILDING THE ULTIMATE TACTICAL OR VARMINT RIFLE“. This looked like a pretty old transfer but the quality wasn’t bad. For the most part I found the video very interesting. The author Darell Holland takes you through the process of building a custom rifle based on a V block bedded Remington 700 action and a McMillan stock. For the most part he does a good job taking you through the process in detail with much explanation as to “Why”. I really enjoyed the simplicity of his shop. A milling machine, small lathe and a bead blaster was all he used. No special jigs and fixtures. This video is great for anyone who would like to know how to do the process from start to finish. I think this is one of the better AGI video’s. If you have access to these metalworking machines an indicator, chamber reamer and a few basic tools this video will instill the confidence to build a rifle. AGI – #3124 Building the Ultimate Tactical or Varmint Rifle – In this course, Master Rifle Builder, Darrell Holland, will take you through the complete process of selecting the components for, and the step-by-step fitting and assembly of, a rifle capable of putting all the bullets through the same hole. Mr. Holland reveals for the very first time the secrets of his exclusive V block bedding system that provides this incredible accuracy. 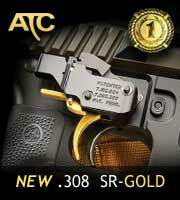 Covers all the considerations required for building either a varmint or tactical rifle. 2 hours.